Roofing does not only serve to beautify and finish up a house. The most important function of a roof is to protect and shelter your family against nature elements and many other possible environmental danger. We are also aware that durability is a vital element in a roof; this is one of the reasons why we offer different roofing materials and roofing brands to satisfy your specific needs. We work with brands such as GAF Roofing, Owens Corning Shingles, Tamko Roofing, IKO Shingles, CertainTeed Shingles, Firestone Commercial Flat Roof and Carlisle Rubber Roof to assure both protection and aesthetic appeal. We are committed to give you the best result possible. Asphalt Roof: This type of shingle is the most common and one of the most widely used roofing covers in the country due to its economical cost and effortless installation. 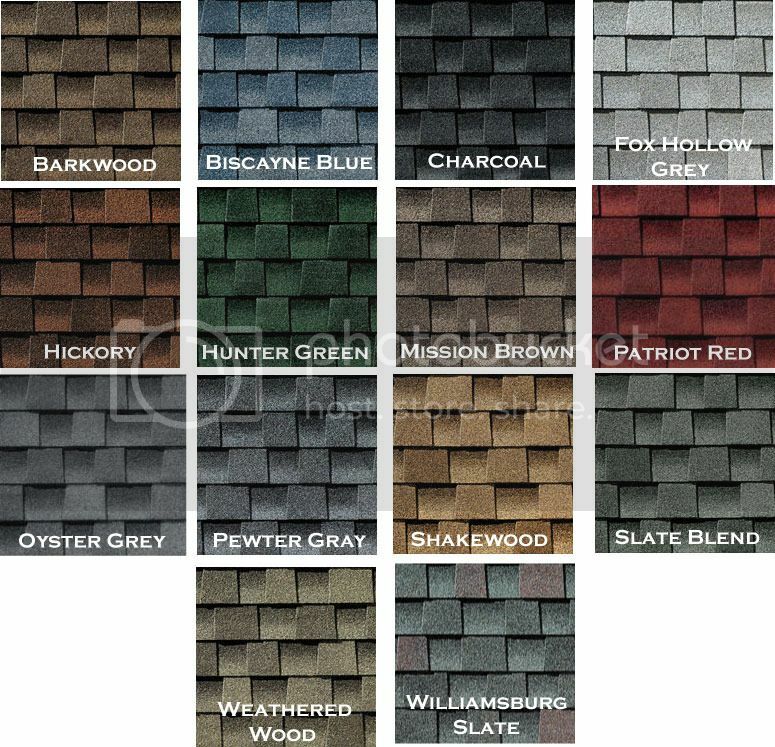 The durability of this shingle is exceptional and they offer a big variety of different colors, including ones that have solar reflecting purposes meaning that this shingles will help you save money by reducing air conditioning costs!! – This roof provides an elegant and timeless final look without hurting your pocket. 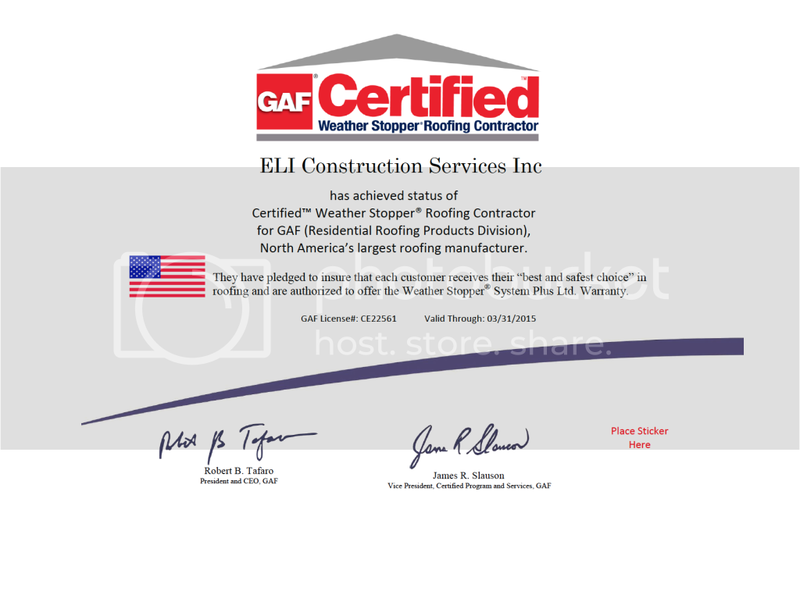 Eli Construction is proud to be a GAF Certified Weather Stopper Roofing Contractor and an Owens Corning Preferred Contractor. Cedar Roof: Cedar roof shingles provide protection and artful looks. This shingle is one of the most traditional due to its natural beauty, and long durability. If you are looking for unique looks, this type of shingle has it covered, since it is natural wood, these shingles can stained to any color you desire and molded into different shapes. Visit our gallery for photos!. Cedar lasts an average of at least ten more years than regular roofing materials and they provide natural insulation that is two times better compared to asphalt. Warranty with us is secured; we are CSSB approved installers! Exquisite looks and strong protection is the forte of this type of shingle. Slate Roof: Durability is the adjective that best describes this tile. Slate roofs are often chosen because they need very little maintenance, if any at all. These tiles provide excellent fire protection; they are waterproof – which makes them resistant to frost damage and breakage due to freezing. Also, did you know that slate roofs are the most environmentally friendly kind of shingle out there? Compared to asphalt roof which lasts an average of 30 years; slate lasts 50+! Slate tiles provide all these protection while providing magnificent looks. EPDM: Standing for Ethylene Propylene Diene Terpolymer, this rubber like material is mostly used in commercial roofs. Available both in black and white, the flexibility of this material makes it an excellent protectant from the weather and harsh conditions. We are highly proud to install the best products such as Firestone rubber roof and Carlisle rubber membrane for the past fifteen years. Metal: This roof stands out because of its lightweight and easy installation. Heat conduction and fire resistance are other attractive properties of this type of roof such as standing seam, aluminum, copper, lead coated copper, zinc coated copper and any other metal roofing materials, custom metal flashing fabrication is available at request.